King Food S.A.L., the BURGER KING® brand franchisee in Lebanon, recently introduced the upgraded Chicken Royal Steakhouse® sandwich across all local branches. The new sandwich, essentially known as the Chicken Royale®, features slices of savory bacon, topped off with melted Cheddar cheese, crispy onions, tomatoes, lettuce, BBQ sauce and creamy mayonnaise, all served on a toasted patty. 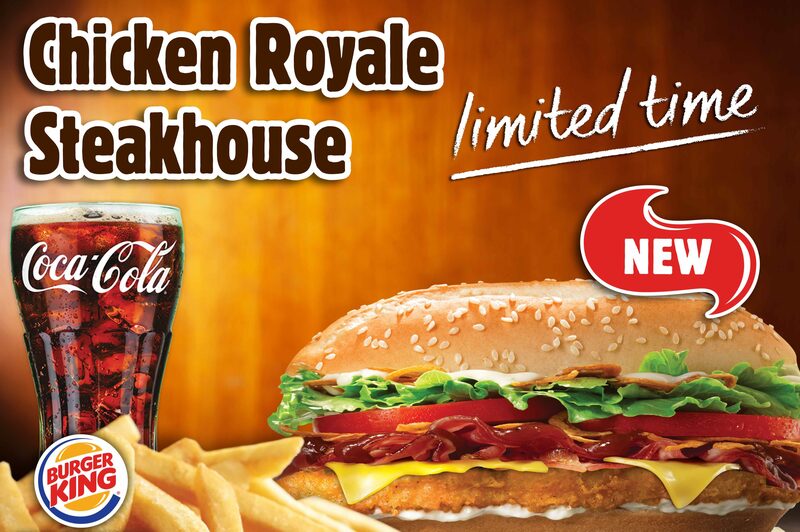 The Chicken Royal Steakhouse® is the second member of a collection of new BURGER KING® menu items, following the Chicken Wrap® sandwich which was launched earlier in January. Iconic American Shake Shack Now Open at ABC Achrafieh!